Roughly two dozen people were out in the Dufferin Marsh in Schomberg on Saturday night to enjoy a bonfire, some snacks, take a look at the moon and stars through a telescope. They were there to take part in the annual Earth Hour event. It was the fifth year for the event that is organized by the Dufferin Marsh Committee. 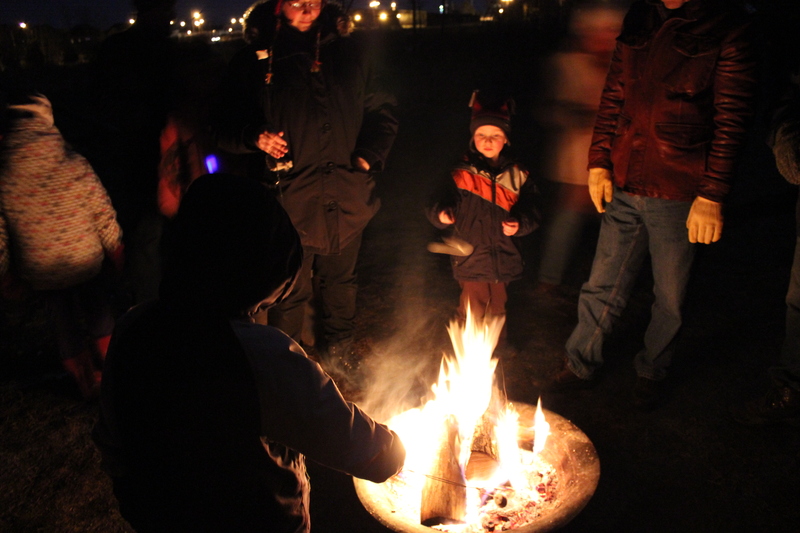 “It’s just an opportunity to come out at night, for kids to do marshmallows and think about our place in the world,” said membership secretary Mary Asselstine. Mandy Brodie has brought her young daughter out to the event for the past couple years. For more information on the Dufferin Marsh, visit http://dufferinmarsh.ca.